The Best of the Best. Its not just one thing that puts our arms above the rest. Its our attention to every detail that brings you the safety, reliability and durability that the Clayton Off Road name is known for. Better bushings, no cheap poly bushings here. Quality clevite mechanically bonded bushings. Pressed into a machined housing for years of maintenance free, squeak free use. Better flex joints, the original Currie Johnny Joints. Providing maximum movement, to keep your tires on the ground for better traction. And by letting the control arms flex, you put less stress on your OEM frame brackets. Longer lasting powder coat finish. CNC machined premiuminserts. And more. 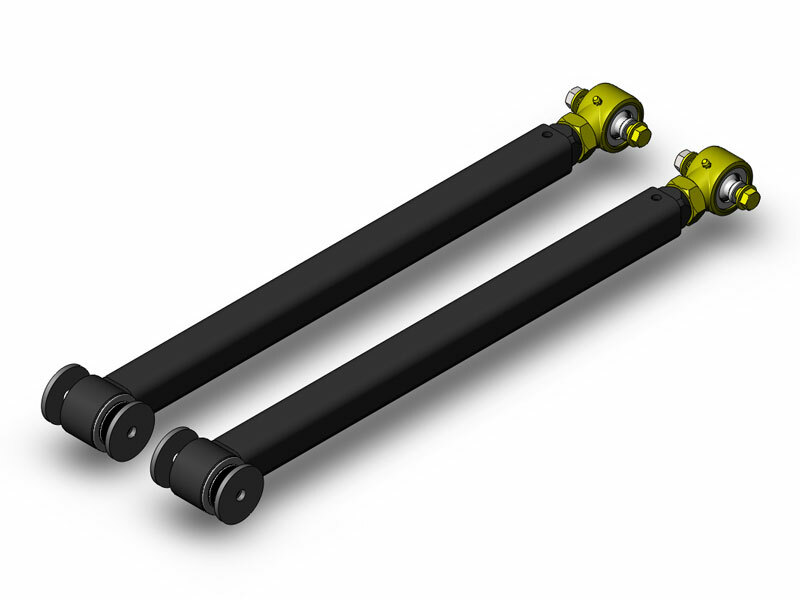 All Clayton Off Road Inc. control arms carry a lifetime warranty against bending or breaking.